Flying with a Passenger from Paris to British Coast. Transcribed by Bob Davis - 9-2-03 "It has been reserved for an American citizen to perform one of the most daring feats in the history of aviation. John B. Moissant, of Chicago, flew across the English channel from Calais to Tilmanstone today with a passenger and by this achievement far surpassed the feats of Bleriot, De Lesseps and the unfortunate English aviator Rolls, who met his death at Bournemouth. The two-man flight from France to England ws more astonishing, for it was only a month ago that Moissant learned to fly and he made so few flights and was so little known among air men that even his nationality was not disclosed. He was reported to be a Spaniard and it was only when he landed in England today that it was revealed that he is a young Chicago architect. To make the feat still more surprising, Moissant was totally ignorant of the geography of his course. He had never been in England and was obliged to rely on the compass while the crossing of the channel was accomplished in the teeth of a strong westerly wind. The channel flight was an incident in the aerial voyage from Paris to London. 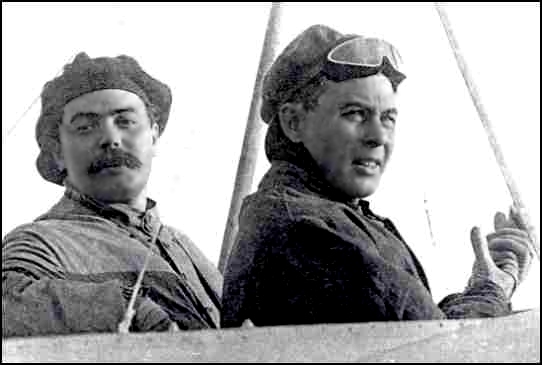 Moissant left Issy yesterday with Hubert Latham and reached Amiens in two hours. Latham's aeroplane was wrecked and this morning Moissant, leaving Amiens at an early hour, headed for Calais. His mechanician, Albert Fileux, who had accompanied him across the country, took his place in the machine, when the motor was set in motion for the dash across the channel. Spectators Amazed - Thousands who had gathered to watch the daring aviator were amazed and urged him not to make the attempt in the face of a half gale that was blowing. Moissant cared nothing for the warnings of the people and even the fact that there was no torpedo boat to follow in his wake, but only a slow moving tug, did not deter him. He made the trip in thirty-seven minutes. When he descended, his eyes were bloodshot and greatly inflamed as a result of the heavy rain storm into which they drove on approaching the English coast.He high wind beat the rain into the faces of the men like hail and almost blinded them. An average height of between 300 and 400 feet was maintained over the water. The aviator expected to land at Dover but was forced by the wind a few miles north, and made the coast near Deal. The cold was intense and both Moissant and his mechanician were benumbed. Moissant seemed to take his monumental feat as though it were a daily occurrence. When he revived sufficiently he laughed and said to an interviewer: 'This is my first visit to England.' Describing his experiences, he said: 'This is only my sixth flight in an aeroplane. I did not know the way from Paris to Calais when I started and I do not know the way to London. I shall have to rely on the compass. I would like to land in Hyde Park if I can find it." 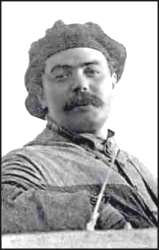 MOISANT'S CROSS-CHANNEL FLIGHT, 1910 Just today, 3-24-02, I received another email from Jean-Pierre Lauwers which contained some details of Moisant's Cross-Channel flight in 1910. It included five outstanding photographs which he had taken from a French newspaper of the period. To learn more about this fascinating episode in the career of Moissant, just click on the title above. ONLINE RESOURCES If you search for "Fileux +aviation using the Google search engine, (9-16-03), you will just one link. However, it is an extremely interesting one and well worth visiting. by René Fonck This is a really remarkable find. It appears to be the autobiography of René Fonck who was born in 1894 in France and became the highest scoring ace of the Allies with 75 kills to his credit. He tells his story in the following ten chapters. It is profusely illustrated with photographs of the period and is highly readable. If you are interested in a very personal account of an ace during World War I, I know you will enjoy reading this. You will find a brief mention of Fileux in Chapter Two. I have no information as to the dates of his birth or death.